DOMESTIC GODDESSES: Wooohooo, online on the island! Sunset last night. This picture is taken at 22h30, it is only dark from midnightish. We have loads to do and get prepped as the next wave of guests is due tomorrow, my bosses wife is also not feeling well so we decided to have a very light, simple lunch. 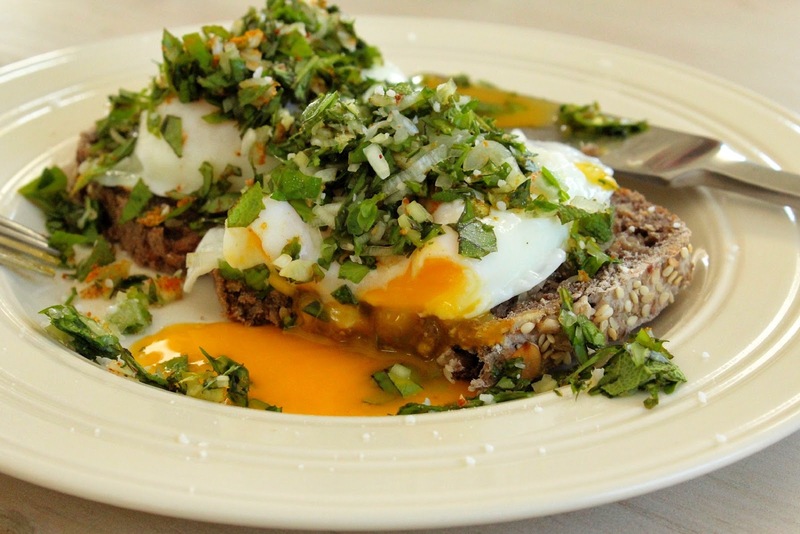 Soft poached eggs on gluten free seed bread with fresh chopped herbs. It was perfect! This way of eating eggs is a staple in my mothers home. We have grown up with it and are sad if we don't get it when we visit her. The secret is in the herbs. You need loads of herbs, a combination of which ever of the following you have available is good; using the first few listed as the bulk and the last few sparingly as there taste can be overwhelming - basil, parsley, chervil, thyme, oregano, sage, mint, dill, coriander. To this you add some fresh chopped garlic, salt, pepper and a pinch or two of curry powder. Add some chilli if you like a zing. Spring onions are good to add too. Chop it all roughly and pile it onto of your poached egg. Don't get fancy and add stuff to this. Just enjoy the magic that happens between the egg and the herbs. yay so happy to have you back online and blogging! 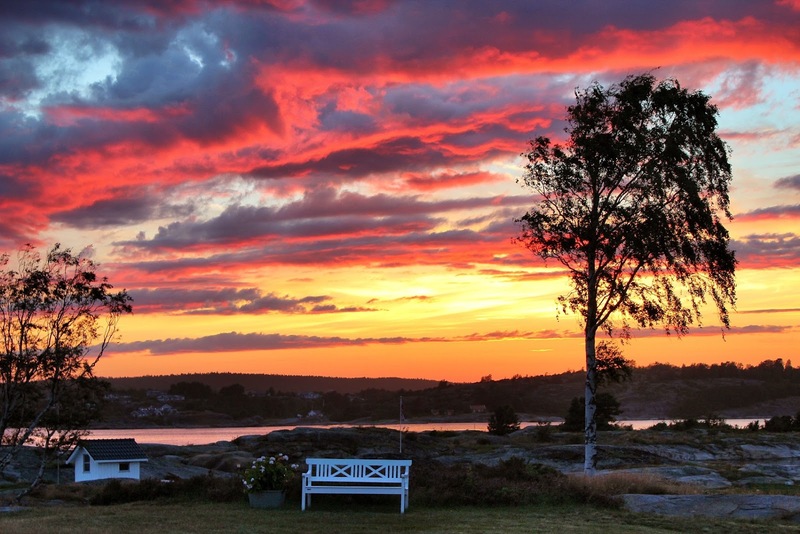 such an awesome sunset picture!